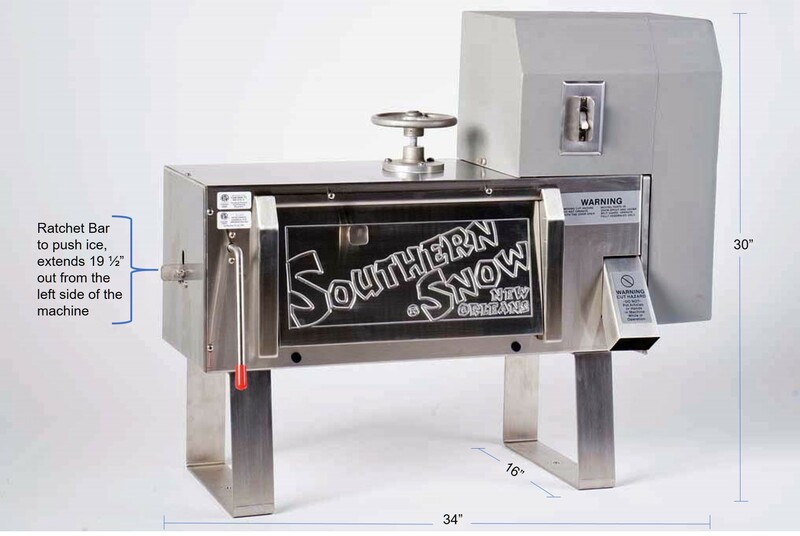 Buy the Southern Snow ® Machine now for just $1895.00!!! Safety motor cover prevents wet hands from touching the electric motor and operator's hair from blowing between the motor and belt guard. Motor cover is removable for easy motor access. Snow control lever pushes block ice horizontally and controls the speed at which the fluffy snow is produced. Ice clamp-down device prevents vertical movement of the ice while shaving snow. Tri blade cutter head shaves firmly held block ice into fluffy snow. Fluffy snow is guided directly into the cup through the stainless steel spout on a per order basis. No storage of snow is necessary. 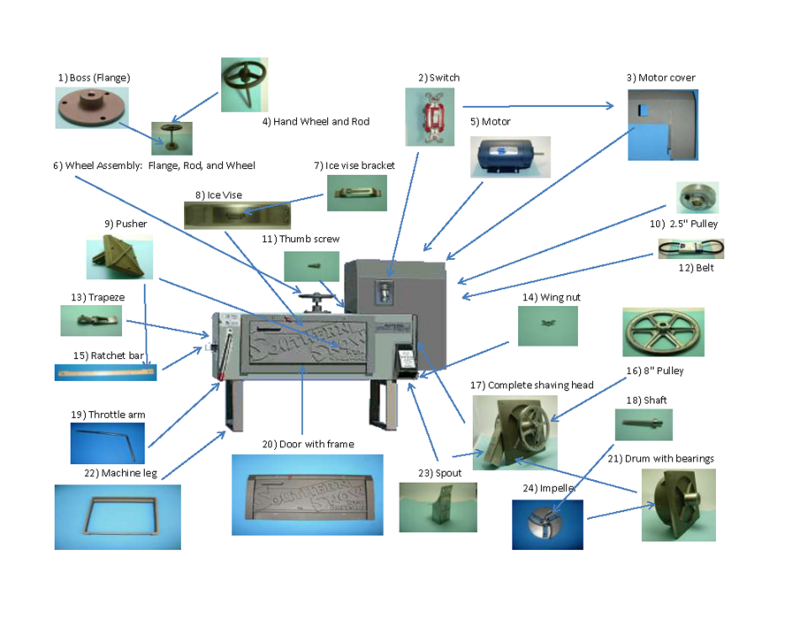 The machine conforms to NSF STANDARD 8 and UL-763. The machine has a Limited Lifetime Warranty with 6 years on the standard 110 volt motor to the original retail purchaser.